Shooting Stars has simple instructions for getting you started using your camera under the stars. The only other piece of equipment you need to get started tonight is a tripod. In addition to simple advice about the camera settings to use for each style of night sky photography, Shooting Stars provides detailed discussion of the finer points of imaging in low light conditions. It’s a reference you’ll keep coming back to and will help even professional photographers learn more about their camera and how to use it at night. 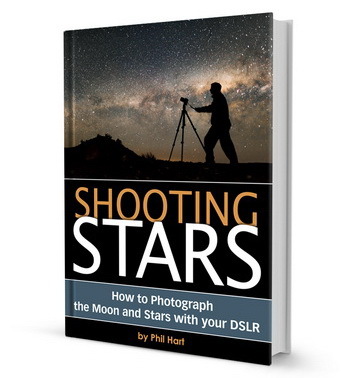 Click Shooting Stars to see the full contents of this ebook, and a selection of stunning night sky photographs.